Happy Holidays fellow biodefense gurus! We at the Pandora Report would like to wish you and yours a lovely holiday season, filled with happiness, health, and a side of relaxation. Your favorite weekly dose of biodefense news be taking a few weeks off from reporting while I venture to the land of Oz. Rest assure, should there be a zombie outbreak, I’ll report it first hand! Since we’ll be radio silent for a couple of weeks, we’ve compiled a pretty swanky “I love biodefense and need more of it” reading list to keep you busy. Before you venture down the biodefense rabbit hole, here is fun history fact Friday: on December 24th, 1814, the war of 1812 ended and on December 24, 1936, the first radioactive isotope medicine was administered by Dr. John Lawrence. GMU Biodefense Master’s student and lab guru, Scott McAlister discusses the importance of biosafety in the changing world of global health. Through his review of the 2009 report by the Trans-Federal Task Force on Optimizing Biosafety and Biocontainment Oversight and a 2015 memorandum released by the White House to enhance biosafety, he discusses the ever changing components of US biosafety. Scott breaks down and compares each report’s recommendations, language, and what these translate to within US laboratories. Moreover, given the recent failures, have US biosecurity practices and recommendations evolved over the past 6 years? Take a look into this review to see where we hope to be and if we’ve progressed since 2009. This week the White House released its national plan for combating the growing threat of multidrug resistant tuberculosis. While US rates of TB cases have dropped, the growing threat of multidrug resistant TB (MDR-TB) and extensively resistant TB (XDR-TB) requires action. This new plan is set to span over 3-5 years and has three goals that will focus on strengthening domestic capacity, improving international capacity and collaboration, and accelerating basic and applied research and development. Extensive collaboration within US agencies and international partners will be necessary to combat the evolving threat of drug resistant tuberculosis. GMU Biodefense PhD alum, Dr. Daniel M. Gerstein, discusses biopreparedness and where the US stands in his work for US News & World Report. Throughout his in-depth analysis, Dr. Gerstein emphasizes the importance of US leadership within the Biological Weapons Convention (BWC). Pointing to the disappointing Seventh and Eighth Review Conferences, Dr. Gerstein notes, “biological warfare can no longer be considered the purview of only state actors. And this democratization of biotechnology means that the world is literally one rogue microbiologist away from a potentially devastating biological attack.” Dr. Gerstein emphasizes that authorities often fail to realize that biological weapons may not act like naturally occurring diseases or outbreaks. During the cold winter months it’s always nice to curl up by the fire with a good book and relax. GMU Biodefense Master’s student, Rebecca Earnhardt, and I have picked a handful of books to spark your interest. If we could have a book club with our awesome readers, we would love it, but in the mean time, here are our recommendations for a few literary works that you might enjoy! Phantom Menace or Looming Danger? : A New Framework for Assessing Bioweapons Threats By Kathleen M. Vogel — Johns Hopkins Press, 2012. The military has gathered reconnaissance of a possible biological research facility, evidence of a paper trail indicating procurement of weapons delivery systems, and collection of specialized personnel to manufacture biological agents. Do all of these pieces point to an imminent biological weapons danger? Kathleen M. Vogel, in Phantom Menace, argues that there is more to the picture of biological weapons development than the technical and physical aspects of manufacturing. Through examination of three case studies, Vogel highlights the shortcomings of the dominant biotech revolution frame within biological weapons assessments. The biotech revolution frame, as described by Vogel, misses the important social and contextual factors that affect biological weapons innovation. The alternative offered by Vogel is termed the biosocial frame. Vogel highlights in her biosocial frame how tacit knowledge and hands-on experience is vital to biological weapons assessments. While Vogel does not particularly focus on political influences, I enjoyed the book because of her explanation of the importance in incorporating sociological aspects into biological weapons assessments. I think this makes Vogel’s work a key book in the field of biodefense. Innovation, Dual Use, and Security: Managing the Risks of Emerging Biological and Chemical Technologies. Editor: Jonathan B. Tucker — MIT Press, 2012. The hotly debated concept of ‘dual-use’ is explored extensively through this multipart work edited by the late chemical and biological weapons expert, Jonathan B. Tucker. This book takes on the conceptual nuances of dual-use with four parts focused on emerging technologies within the areas of directed design, acquisition of novel molecular parts, modification of biological systems, and enhanced production and packaging capabilities. Each section, authored by leading experts in the field of biodefense research, including Filippa Lentzos and Gerald Epstein, applied Tucker’s framework of risk assessment for dual-use potential and governability. This framework incorporates key aspects of assessing dual-use potential, including technological monitoring, technology assessments, and governability of the technology. The strength of this framework lies in its applicability to emerging technologies, which may enable policy makers to continuously review a particular technology or an emerging area of research. In the concluding chapter, Kirk Bansak and Jonathan Tucker redirect attention to the intervening social processes that construct relationships between the technology and its users, and how these social processes may create an environment ripe for misuse. To me, this book is a highly valuable and informative work on the range of dual-use issues and conceptual applications. I think this book is an important read not only because it covers a variety of dual-use issues, but also in its wide-ranging review of relatively recent biotechnology and life science innovations. The variety of case studies makes this book an enjoyable read! Spillover: Animal Infections and the next Human Pandemic by David Quammen. New York: W.W. Norton, 2012. Not only is David Quammen one of my favorites, but his overview of zoonotic diseases and the concept of spillover will both captivate and inform you. Ranging from West Nile Virus to Ebola, Quammen presents several of the zoonotic diseases you may have heard of and others that may cause you to reconsider kissing a horse anytime soon. Each chapter presents a new disease, it’s history, and a new outbreak that should raise our attention to global health security. While he doesn’t touch much on avian influenza or multi-drug resistant organisms, his points on humans infringing upon animal ecosystems and the resulting disease spillovers are harrowing. Quammen’s adventures remind me of a microbial Indiana Jones (hint hint Hollywood, that would make an excellent movie! ), even with the cheeky wit. I would recommend Spillover as a gateway to understanding the role of zoonotic diseases and the emphasis we’re seeing on One Health. While his parts on Ebola aren’t as dramatic as Richard Preston, you’ll be sure to enjoy his approach to epidemiology and the impact of spillover on global health. Quammen did extend his sections on Ebola into another book that includes information related to the 2014/2015 outbreak. If you enjoy on-the-ground reporting, you’ll find this within Quammen’s book. Greek Fire, Poison Arrows, and Scorpion Bombs: Biological and Chemical Warfare in the Ancient World by Adrienne Mayor. Woodstock: Overlook Duckworth, 2003. As a lover of all things biodefense and classical, I was excited when I cam across Adrienne Mayor’s book. Combining ancient history and bioweapons? Sold! Mayor’s breakdown throughout the book reveals the mythical and historical accounts of chemical and biological weapons in the ancient world. While a bit dramatic and sometimes repetitive, I found her book to be enjoyable in that few people have combined ancient history and chem/bioweapons to such an extent. Mayor makes sure to include references to mythology that heavily impact these ancient societies. While the lines of chemical and biological weapons were sometimes muddied and some generalizations related to classical history did occur, I would recommend her book to anyone who enjoys history (especially ancient history), mythology, and CBW. Realistically, with such a catchy title, how could you resist? Tracking Zebras and Barriers to Bioweapons – Dr. Amesh Adalja reviews GMU Biodefense Professor, Dr. Sonia Ben Ouagrham-Gormley’s Barriers to Bioweapons in his blog, Tracking Zebras. Discussing the role of tacit knowledge and the formative stages of development, Dr. Adalja’s experience as an infectious disease physician provides new insight into Dr. Ben Ouagrham-Gormley’s book. Bacteria Resistant to Last Drug of Choice Found in UK- bacteria that is resistant to colistin, the common antibiotic of last resort, has been found in the UK after it was identified in China last month. Ongoing monitoring and analysis is being done to track the gene (mcr-1) that allows bacteria to resist colistin and can potentially spread among species. Outbreak Updates: The Zika virus outbreak has now reached Cape Verde with over 4,700 potential cases and four cases have been identified in Panama. No new cases of Ebola have been reported this week! The Food and Drug Administration (FDA) is now joining up with the CDC since the second wave of Chipotle E. coli cases. Hungry, hungry anthrax hippos? If there’s one thing we love about the science community, it’s when a gem pops up in your inbox like this (thanks ProMed!). In Ebola news, public health officials are exploring the possibility that survivors may be a potential source of case surges. Fun history fact Friday: On December 18, 1620, the Mayflower docked at Plymouth Harbor and passengers began settlement and on December 14, 1980, the CIA issued a warning about Soviet arms sales to Third World nations. Take a break from holiday preparations with this week’s Pandora Report – we’re discussing everything from zombies to Bob Dylan lyrics! Tara C Smith and the writers of The BMJ certainly know how to hook a biodefense nerd – epidemiology of zombie infections? Don’t mind if we do! Using historical tales and movie outbreaks, Smith takes us through several hypothetical zombie outbreaks we’ve experienced as viewers or readers for the past few decades. Tracing the origins of certain outbreaks and the transmission patterns via bite, this scientific approach to one of our favorite topics is fascinating. Potential etiological considerations included weaponized Yersinia pestis, a mutation of bovine spongiform encephalopathy, or a genetically modified form of the Ebola virus that was tested on chimpanzees (that later escaped!). Last but not least, we can’t forget to consider the ethical implications of such an outbreak. How do we handle resource depletion or quarantine? All things to consider before the zombie apocalypse! With the National Science Advisory Board for Biosecurity (NSABB) meeting fast approaching (January 7-8, 2016! 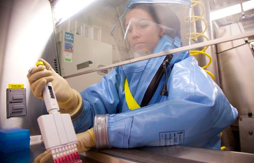 ), we’re recapping the role of gain-of-function (GoF) research in biodefense. Earlier this year, Gryphon Scientific was awarded a NIH contract related to assessment of GoF research and the risk-versus-benefits that may impact future federal funding. With the intent to make future recommendations, the assessment had three major tasks: a risk analysis (RA) of accidents and natural disasters, a biosecurity RA, and a benefit assessment. Extensive review and analysis of data from the intelligence and law enforcement community reviewed potential gaps within security practices. “The biosecurity RA is delivered in two parts because risks posed by malicious acts targeting laboratories that conduct GoF required a different analytical approach than the assessment of the risk generated by the misuse of published GoF research.” GMU Biodefense alum and previous Pandora Report editor, Julia Homstad, is also the lead author on Chapter 11 (Risk of Loss of Trust in Science). Perhaps one of my favorite points from the report was that “this assessment requires the identification of scientific and non-scientific barriers to the realization of these benefits.” You can also find Michael Selgelid’s White Paper regarding the ethical implications of GoF research. While the 1,001 pages may seem a daunting task, this is not only a highly relevant report, but approaches GoF concerns and risks in an engaging and holistic manner. Bob Dylan Lyrics in Medical Literature? Have you ever read a scientific article and felt a complete unknown, like a rolling stone? Scientists at the Karolinska Institute in Sweden have been sneaking Bob Dylan song lyrics into their papers as part of a long-standing bet since 1997. “It all started in 1997 with a review in Nature Medicine entitled ‘Nitric oxide and inflammation: the answer is blowing in the wind. '” Carl Gornitzki and colleagues from The BMJ decided to do some additional digging in Medline and found that 213 of 727 found references were unequivocally citing Bob Dylan. Starting a few years after his musical debut, research papers included a variety of biomedical topics, like those of Hermanson et al., who managed to work “like a rolling stone” into their paper on epigenetics. The variety of lyrics found throughout the literature is certainly more than a simple twist of fate. Ever wonder how your state ranks in terms of emerging infectious disease preparedness? Trust for America’s Health and the Robert Wood Johnson Foundation recently published their 2015 report regarding state capabilities to protect against new infectious disease threats (MERS-CoV, multi-drug resistant organisms, etc.) and “resurging illnesses like whooping cough, tuberculosis, and gonorrhea.” The report found that over half of US states ranked at five or lower on a scale of ten. The five all-star states (scoring eight) were Delaware, Kentucky, Main, New York, and Virginia (go Virigina!). The report findings noted that “the nation must redouble efforts to protect Americans” and included points on healthcare-associated infections, flu vaccination rates, food safety, and superbugs. Check out the report to find where your state ranked! On Thursday, the House Appropriations Committee presented the 2016 Omnibus Appropriations bill, which revealed discretionary funding plans for the federal government. Buried in new legislation, the FDA and NIH will receive part of this discretionary funding to help fight antibiotic resistant bacteria and “advance prevision medicine initiatives”. The FDA is set to receive $2.7 billion, which was over a $10 million increase from FY2015. Within the bill, there is “funding for the Combating Antibiotic Resistance Bacteria (CARB) initiative ($8,732,000), the precision medicine initiative ($2,392,000), and the Orphan Product Development Grants Program ($2,500,000). The NIH will receive an extra $2 billion for FY2016, which supported projects specially for Alzheimer’s diseases research, brain research, antibiotic resistance, the Precision Medicine Initiative, etc. 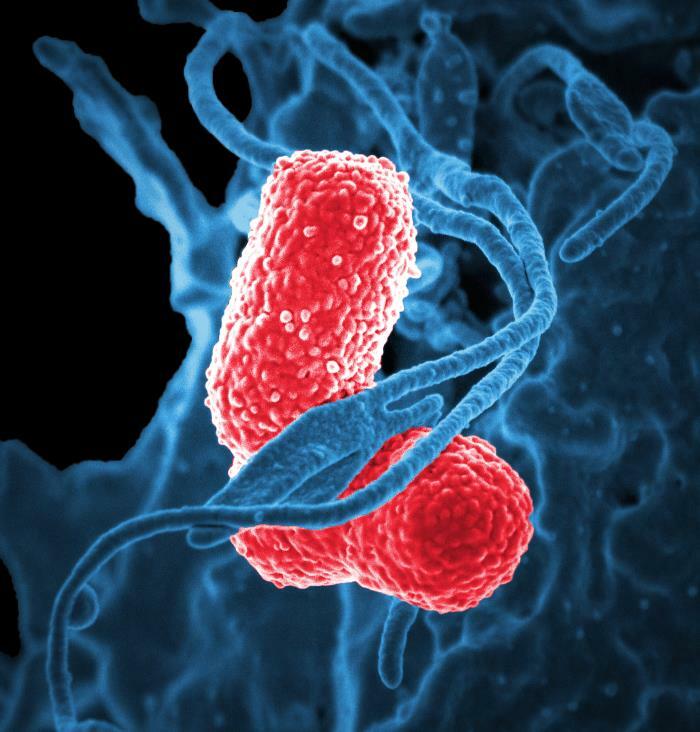 Given last week’s report on the phantom menace CRE and growing cases of multi-drug resistant organisms, it’s extremely important antibiotic resistance be given more attention. CDC Establishing Flu Vaccine Efficacy Lab Network – The CDC has provided funding for a network of US institutions to collect and analyze information related to annual flu vaccine effectiveness. “Participating institutions will coordinate enrollment of patients with acute respiratory illness, confirm influenza infection using a standardized reverse-transcription PCR (RT-PCR) assay, and estimate vaccine effectiveness.” The 30 million dollar funded project will run from July 2016-2021. Avian Influenza in France – France has reported 30 outbreaks of avian influenza, specifically one of the highly pathogenic influenza. Unfortunately the strain in the most recent cases hasn’t been identified, but these outbreaks been attributed to one of the H5 strains. 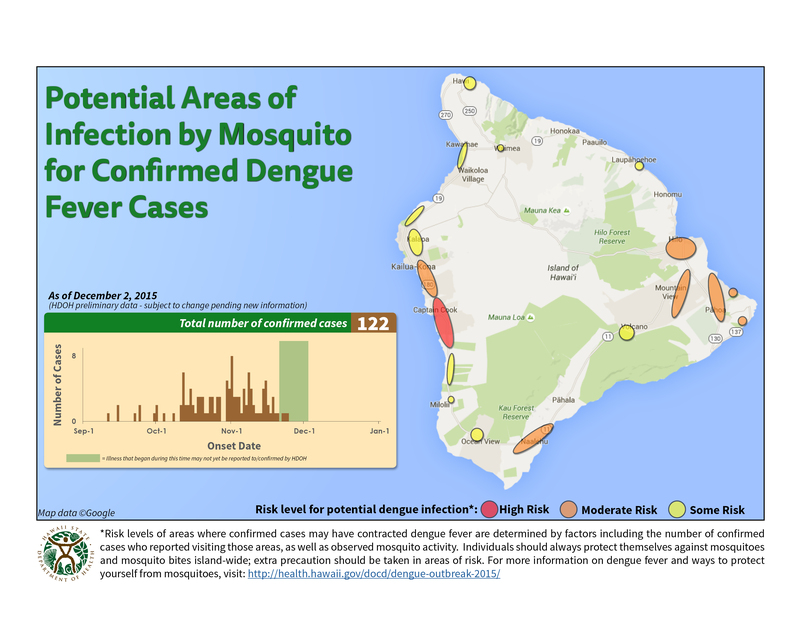 Hawaiian Dengue Outbreak Update – Cases of dengue virus on Hawaii Island have now reached 157. There are 7 individuals considered still infectious and the Hawaii Department of Health (HDOH) continues their efforts to identify cases and reduce transmission. 140 of the cases are Hawaii Island residents, and 34 of the overall cases have been children under the age of 18. In a lab far, far away… How could we resist a Star Wars reference to antibiotic resistance? A recent CDC MMWR reported a growing incidence of a particularly concerning antibiotic-resistant organism. Carbapenem-resistant Enterobacteriaceae (CRE) are continuing to raise concerns due to cases related to endoscopic retrograde cholangiopancreatography (ERCP) scopes. Since it’s discovery, global health experts (including the CDC) have been keeping a close eye on CRE transmission and cases. A variant of CRE, called OXA-48-type carbapenemase, was seen in Enterobacteriaceae in Turkey in 2001. 52 isolates of CRE producing OXA-48-like carbapenemases were found in 43 patients in the US from June 2010-August 2015. A study in 2012 first referenced OXA-48-like carbapenemases as the phantom menace. The concerning issue with this particular CRE strain, aside from its known-resistance, is the growing emergence in the US. The difficulty in treatment and extreme care for isolation precautions makes patient care challenging. Interestingly, for those patients who provided a travel history, the majority (66%) had traveled internationally within the year before specimen collection and 55% were actually hospitalized outside the US for at least one night. The US cases involved several clusters and were spread across 19 states. Even more worrying, the laboratory diagnosis is tricky as “most U.S. clinical laboratories that test for CRE organisms wouldn’t identify this particular type of bacteria because it’s not part of standard testing.” The increase in cases and ease of hospital transmission are just a few more reasons why antimicrobial stewardship is so vital. May the force be with you! In case you missed GMU’s seminar on global health security on Monday, 12/7, here’s a recap! Speakers included Dr. Matthew Lim (Senior Policy Advisor for Global Health Security, HHS, fmr Civil-Military Liaison Officer to WHO), Jeanette Coffin (Section Manager, Biosurveillance Division, MRIGlobal), and Phil Davis (Associate Scientist with MRIGlobal). Ms. Coffin and Mr. Davis discussed the operations, supported by the Defense Threat Reduction Agency’s (DTRA) Cooperative Biological Engagement Program (CBEP). The mobile lab was launched in December 2014. With only six weeks to train, prepare staff, acquire equipment, deliver, assemble, and much more, it’s a pretty impressive feat that this team pulled off. Ms. Coffin and Mr. Davis discussed how they were able to reduce much of the travel delay and time lag for Ebola testing results. Using equipment to perform RNA extraction and PCR’s, lab technicians were working in tight quarters in Moyamba and Lakka, Sierra Leone. 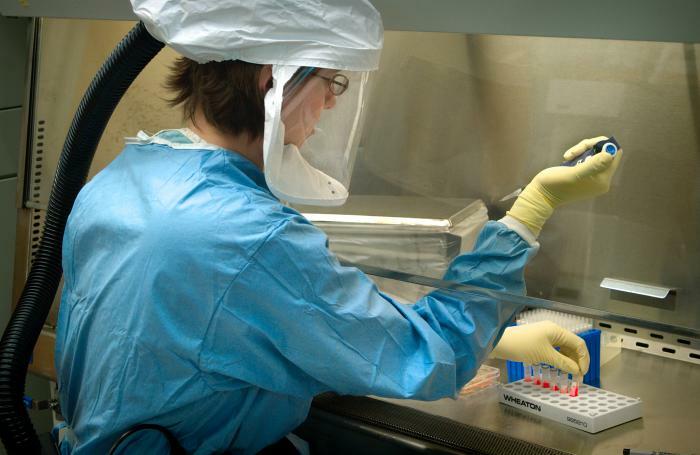 To date, the DTRA-CBEP mobile lab operations tested 7,242 samples for Ebola. While they discussed many of the strengths like flexibility, relationship with vendors, and self-containment, there were also several challenges. Difficulties ranged from inadequate power and internet, to road reliability, food/water safety, haggling, and security issues related to petty theft and missing supply containers. Sustainability was heavily discussed as their expected withdrawal is June 2016 and the team hopes to provide education for ongoing surveillance. Next, Dr. Matthew Lim spoke of the history and impact this outbreak had on global health security. He emphasized “how much this has overturned the paradigm we have about health and security”. Dr. Lim’s discussion was fascinating in that he speaks from experience at both the WHO and HHS, pointing to the role of member states and how WHO funding cutbacks impacted outbreak response. He noted that the Global Health Security Agenda heavily emphasizes partnership of it’s 50 state members, NGO’s, and within the 11 action packages. He explained that global health affairs, in many ways, join foreign policy and health policy, highlighting the need for less siloing and more partnership to help encourage capacity measures. Overall, the standing-room-only seminar touched on both the operational struggles and the overarching role of global health security in both the Ebola outbreak, but also future preparedness efforts. The UK and France have moved to call ISIS, “Daesh”, to remove the association with Islam. Given Daesh’s use of mustard gas, is bioterrorism a stretch? Sandra Maksimovic-Sara of Outbreak News Today discusses their attempts to obtain biological and chemical weapons as a means of using non-conventional weapons to change their modus operandi. While she doesn’t mention tacit knowledge, Maksimovic-Sara notes that “for a biological and chemical terrorist attack, there must be some know-how and background and a professional approach, which is so far away from impatient aggressive Islamic terrorists gathered in Daesh. They want fast track acts and fast track results.” While preparedness efforts must account for a variety of attacks, it’s vital to remember technical limitations. As Dr. Sonia Ben Ouagrham-Gormley noted, tacit knowledge is a significant hurdle for non-state actors to overcome in their quest for bioweapons. The fallout of the 2014 West Africa Ebola outbreak is still ongoing and while many US hospitals feel they are better prepared to handle cases, there are many that experienced negative treatment related to preparedness efforts. There have been several returned travelers from the affected countries that were put into quarantine upon arrival in their home country. While many were involved in patient care, there are several that had no interaction with patients and experienced what many would call, “fearbola“. While quarantine efforts are important for those that may have had patient interaction, risk assessments are vital. Sheri Fink of The New York Times notes that several states “have the legal authority to impose quarantines, often exceeded those guidelines, restricting the movements of returning health workers and others.” Many who were quarantined experienced public harassment, media scrutiny, and some have filed lawsuits for civil rights violations. Given the November terrorist attacks in Paris, it’s not surprising that France is looking to ramp up their biodefense efforts. Following the arrival of a third generation vaccine, France has decided to revise its smallpox preparedness and response plans. Last revisited in 2006, the plan is to vaccinate first responders and healthcare professionals that are most likely to identify and care for smallpox cases. Smallpox has long been an organism of concern for bioweapon applications. In coordination with the Secrétariat Général de la Défense et la Security Nationale, (SGDSN- General Secretariat for Defense and National Security) these plans will include the new vaccine, Imvanex, that was developed by the Danish biotech company, Bavarian Nordic, “on behalf of the US under Bioshield”. While the new plan involves “circles” of people, the new transgenic vaccine has vastly decreased the side effects that were commonly associated with first and second generational variola vaccines. In the past, smallpox vaccines were associated with high volumes of side effects, which was a roadblock to previous mass-vaccination efforts as a biodefense strategy. France has several biopreparedness strategies that include a syndromic surveillance program, SurSaUD, a White Plan, and many other efforts to prevent, identify, and respond to health security threats. The updated French plans hope to “frustrate and deter terrorists” as well as respond to concerns of re-emerging infectious diseases. Elisande Nexon presents an overview of France’s biopreparedness efforts and the public health threats they may encounter. While the November attacks in Paris will most likely initiate additional changes to France’s biopreparedness, their existing methods are extensive and reveal national support for biodefense. Infectious Disease Specialists on the Decline – The National Resident Matching Program (responsible for matching medical students with specialty training programs) announced that of the 335 infectious disease fellowship positions available, only 218 were filled. This is especially concerning as it follows several years of low matching for infectious disease positions. The Infectious Disease Society of America has even begun brainstorming recruiting tactics for what many consider a “thinking specialty” that may not have the glamor or pay that draws students into the field. Speaking from experience as an infection preventionist, the infectious disease physicians I have worked with were by far the most dedicated, intelligent, and passionate people. I think we can all safely agree that the world needs more infectious disease specialists, especially following outbreaks like those of Ebola and Zika virus. USAMRIID Supported Study Traces Ebola Outbreak – a recent study lead by USAMRIID found that a majority of the Liberian Ebola cases “can be traced back to a form of the virus transmitted from Sierra Leone”. The sequencing of hundreds of isolates also supports the role of high-density neighborhoods as an accelerant for the outbreak. Interestingly, researchers found that the Ebola strain diversified in Liberia prior to being transmitted to cases in Guinea and Mali. Yamuna River Harbors High Volume of Antibiotic-Resistant Organisms – Researchers found that the Yamuna river in Dehli, India, had an alarmingly high amount of resistant organisms. There were large quantities of several organisms found that showed resistance to many common antibiotics like ampicillin, streptomycin, etc. MERS Was the Most 2015 Googled Word in Korea – also considered Korea’s “hottest” Twitter issue, MERS became the most searched topic after the first patient was confirmed on May 20th. Miss us? Good news – the Pandora Report weekly update is back! With a new school year comes new faces and some organizational change-up. Dr. Gregory Koblentz is now the Senior Editor of Pandora Report and Saskia Popescu (yours truly) will be taking over from Julia Homstad as the Managing Editor. I come from the world of epidemiology, public health, and infection control. Having just started in the GMU Biodefense PhD program, I look forward to venturing down the rabbit hole that is the Pandora Report! Reviving a 30,000-Year-Old Virus…Isn’t This How the Zombie Apocalypse Starts? You may recall last year that French scientists stumbled across a 30,000-year-old virus frozen in the Siberian permafrost. Considered to be a “giant virus” (doesn’t that give you a warm, fuzzy feeling inside? ), this is actually the fourth ancient, giant viral discovery since 2003. The new plan is to try to revive the virus in order to better study it. Dr. Claverie told Agency France-Presse, “If we are not careful, and we industrialise these areas without putting safeguards in place, we run the risk of one day waking up viruses such as smallpox that we though were eradicated.” Given the recent concerns over biosafety lab specimen transport, we’re all curious to see how this new organism, coined “Frankenvirus”, turns out! CDC updates regarding the Salmonella Poona outbreak reveal the brevity of the potentially contaminated product. As of September 9th, there have been two deaths, 70 hospitalizations, and 341 confirmed cases across 30 states. Perhaps the most worrisome is that 53% of affected individuals are children under the age of 18. While the produce company, Andrew & Williamson, issued a voluntary recall of their “slicer” or “American cucumber on September 4th, there have been 56 additional cases reported since then. Isolated samples from cucumbers in question were found in Arizona, California, Montana, and Nevada. The California Department of Public Health issued a warning and pictures of the affected cucumbers. An surge in MERS-CoV cases sheds some light on increased human-to-human transmission related to the South Korean hospital outbreak. Genome sequencing revealed a recent recombination event and amino acid changes. Saudi Arabia reported two more cases, one of which was a healthcare worker. 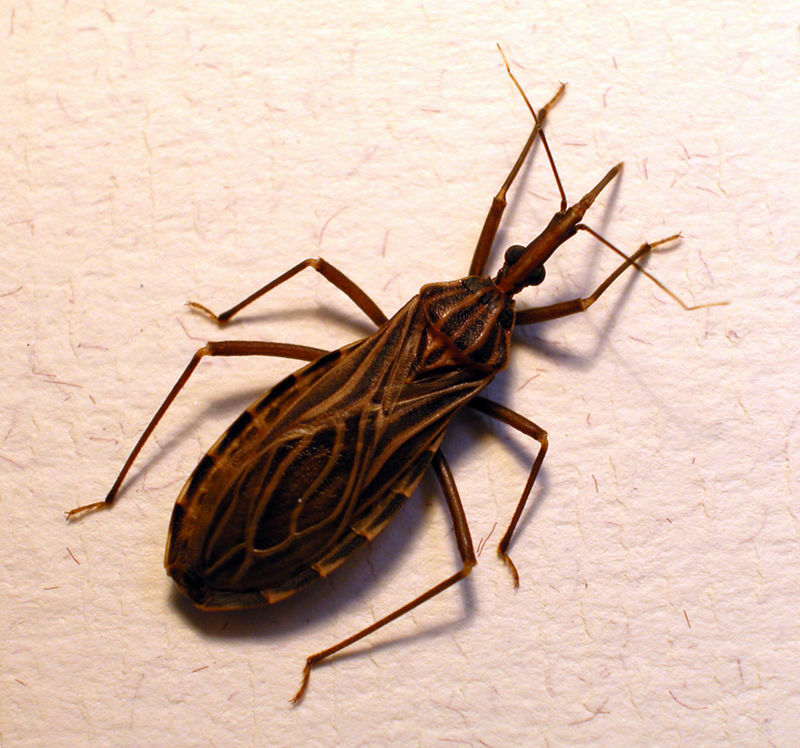 Researchers in Texas working on Chagas disease are finding that more Triatominae (kissing bugs) carry the parasite, Trypanosome cruzi, that causes the disease, meaning that risk for transmission is higher. As if we needed more of a reason to dislike this bug! Ebola Update: cases remain low and officials are cautiously optimistic. The WHO also release guidelines on management of pregnant patients and lack of vertical transmission in women that become pregnant after recovery. Simplifying hand washing steps for children helps reduce illness-related absenteeism. Cutting down the hand hygiene process, from seven to five steps, improves overall compliance and helped cut down absenteeism related to illness by 40% in this study!